The purpose of the G.W. 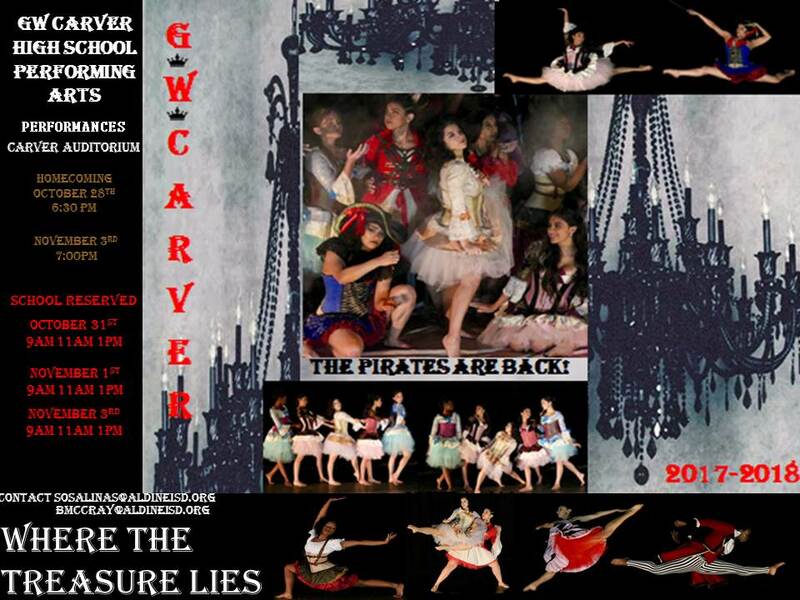 Carver Department of dance is to encourage quality performance, high academic standards, loyalty, and high professional values among its students. Through the development of dance technique, leadership, cooperation, self-discipline, and professionalism in each student the G.W. Carver Department will fulfill its purpose for the benefit of Aldine ISD and the community of Aldine Independent School District. Students are dedicated young dancers who realize and understand that being apart of the dance department requires a generous amount of hard work and setting high standards. These goals should include self-discipline, confidence, dedication, a humble spirit, and respectable conduct on and off the dance floor.